Earning a degree increases your value in the workforce: it teaches you valuable skills that can lead to new careers and opportunities. And if you want to make the most out of your degree, you need one that’s versatile, easy to achieve, and always in demand. That’s exactly what a business degree offers. Business degrees cover every skill needed to run or participate in businesses of all kinds, from networking to managing operations to real-world entrepreneurship. A business degree leads to many new opportunities. Companies will want to hire you and use your business knowledge. You can start a business of your own as an entrepreneur, or launch an independent career as a consultant. Here are four reasons earning your business degree is a smart choice. A business degree gives you great flexibility in your career path. Many people are unsure what exactly they want to do with their future, and studying business can reveal new options. Business degrees offer flexibility because the skills you learn are applicable and important in many industries. After graduating, you can start a career in marketing, management, sales, and many other fields. For example, if you major in marketing you can work for a PR firm or an education company – or even a publisher. You could become a financial adviser or accountant for businesses of any kind. The ability to shape your own career path provides the freedom to change and grow as your career evolves. Technology is changing many jobs, but it isn’t changing the need for business skills. Entrepreneurs, managers, financial experts, HR professionals, and strategic planners are always in demand because business is constantly evolving. Individuals with business degrees are needed to lead and direct the people who make up an organization or company. Earning a business degree sets you up for a lucrative career that will always be in demand, no matter how the world changes. Earning a degree in business shows a prospective employer that you possess the skills necessary to make a company successful. Without a degree, finding a position where you can get the experience needed to become a competent business professional can be difficult; employers want to hire, not teach basic principles. Entering the workforce with a degree in business will give you the opportunity to start out in almost any leadership position and transition into new roles in the future. Business professionals can work in almost any industry since fundamental business principles don’t vary from company to company. A company that markets shoes, for example, would need the same type of business leaders as a company that offers legal services. Although the product varies between companies, the same leadership and management principles are applied in every organization. Graduating with a business degree gives you the education you need to excel in any industry – no technical knowledge necessary. If the industry you are working in begins to decline, you can transition to a position in another industry with ease when you have a background in business. Majoring in business is perfect for people who want to focus on building relationships and adding value to companies of all kinds. Business leaders fill a unique role in the world, and business degree programs tend to let students skip basic classes that almost everyone has to take, such as chemistry or physics, to focus on cross-industry skills. 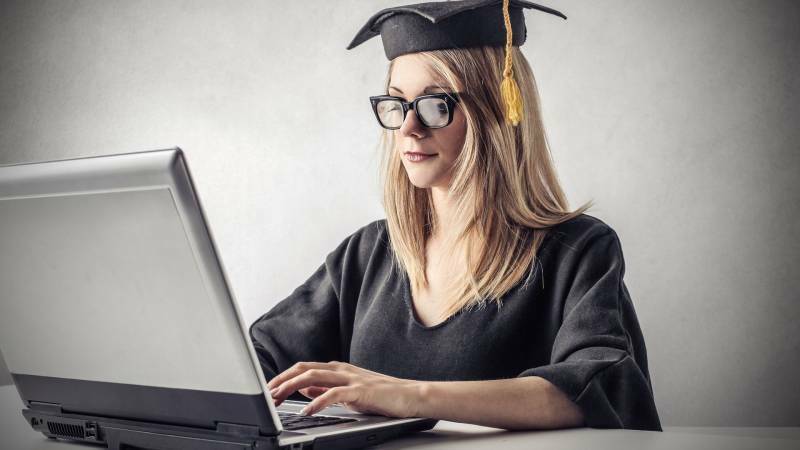 Thanks to the internet, evolving technology has introduced new options for students who want to earn a business degree. Now, spending four years and hundreds of thousands of dollars is no longer necessary to get the education you need. Leading universities now allow you to take classes online from anywhere in the world. You can learn at a pace that fits your busy life while staying free to complete courses on your own time. And earning your business degree online saves money. Online classes are far less expensive than traditional classes – there’s no need to pay for expensive buildings and equipment. Reputable schools ensure students receive the same quality of education when they choose to take their classes online, making it an easy choice for students who want to earn their degree for less and in less time. It’s easier than ever to get started; you can enroll in affordable business classes today. Interested in earning a business degree? Start a search today.